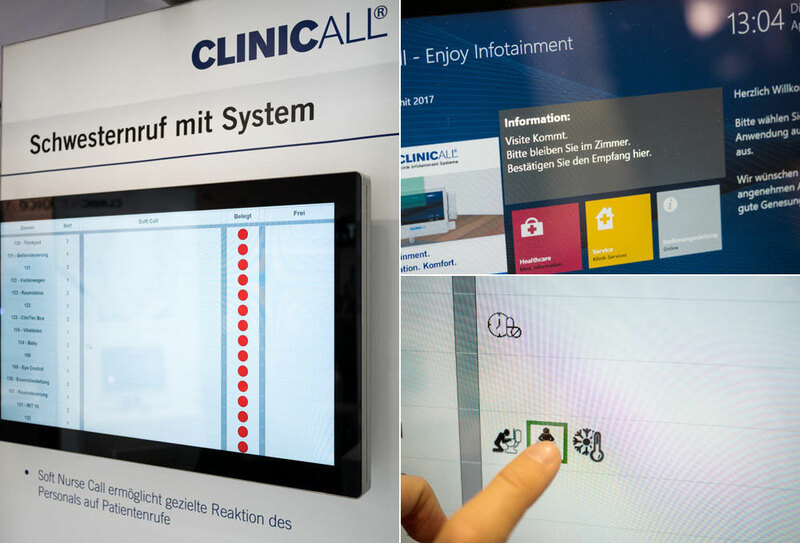 With 9,500 visitors and 500 exhibitors (up 10% on 2016) it was a busy time for NiQ Health and our partners on the ClinicAll stand at conhIT, one of Europe’s leading events in the healthcare IT sector. 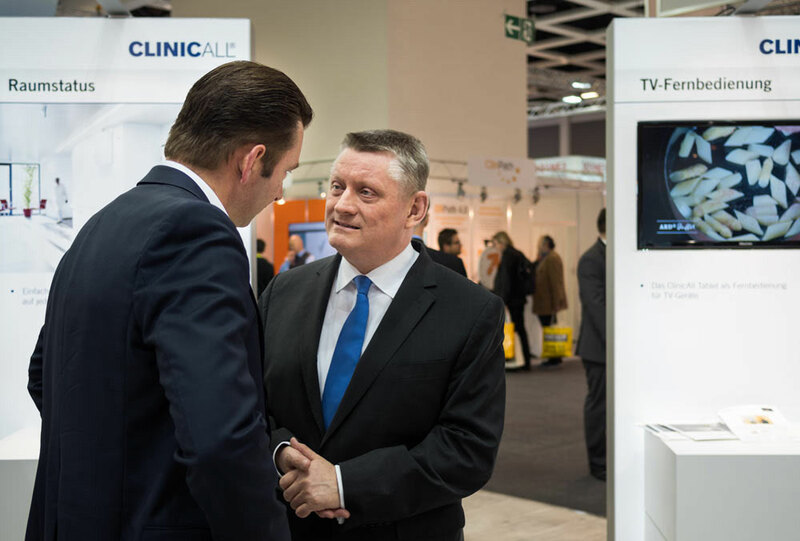 A particular highlight was a visit to the stand by German minister of health, Hermann Gröhe, who is the patron of conhIT, and other members of the German government. Having opened the exhibition with a speech highlighting the importance of healthcare IT in the future of hospitals and patient treatment, he was very interested to see demonstrations of the solutions that we can offer in these areas. Solutions that we showcased on the stand included our CarePlus system software solution, the QueueMate patient registration system developed by SRC Infonet and the innovative hardware tools designed by Advantec. 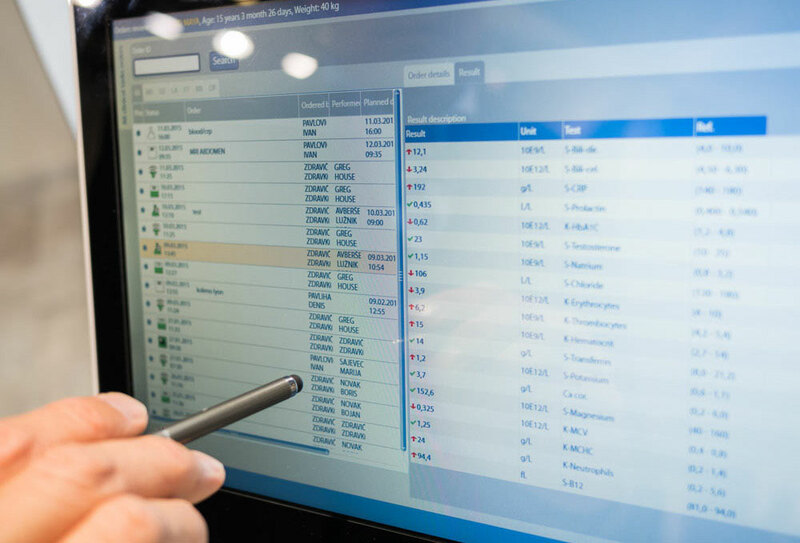 All terminals were connected to a live network – so visitors were able to watch live how a status message finds its way from a patient’s bedside terminal via the terminals on the ward trolley and the nurses station to reach the attending physician. Whilst our competitors around us talked about these solutions as things that can happen in the future, we could clearly demonstrate that they are real and happening now. Trade visitors were very impressed and we were able to make some promising new business contacts.